European & US companies love Cloud Computing! But why Malaysian prefer on Hybrid Colocation? Recently, I have came across a interesting study report that conducted by Manchester Business School (MBS) and Rackspace Hosting, and their research topic is about the impact of cloud computing on today's businesses. In summary of the report, on average, moving to the cloud computing saves a company around RM1,275,000 (or £255,000) every year or RM106,250 (or £21,250) every month. 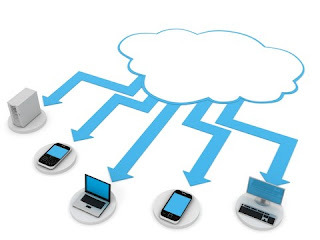 Dr Brian Nicholson of the MBS said "The survey - which involved questioning 1,300 firms across the UK and the US - showed the benefits of cloud computing are being felt by many organisations, as 83% of firms that have adapted to this way of working have saved money by doing so. 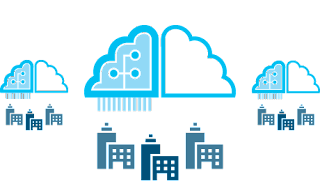 Meanwhile, 40% of companies in the UK indicated that the use of the cloud had helped their organisation to grow, with 56% using the money they are saving through this strategy to invest in other areas of their business." Let's talk about this report for a minute, from my point of view, this reports is still conducted in US and UK, and of course it's more applicable for their countries. From the amount of what Cloud Computing can save for the companies have to tally with the amount of IT budget that average a European and US companies spent every year. Image if Cloud Computing can save RM1.2mil or 50% of the company's IT budget, mean the company's default IT budget is RM2.4mil. In Malaysia, although not many of SME (Small & Medium Enterprise) company will allocate a million dollars as their IT budget annually, but the awareness of Cloud Computing has always come into their future plan to improve their current IT infrastructure, or plan to cut down their maintenance cost. Currently, many of SME companies are slowly moving their front-end or less important servers (such as web servers, file servers, email servers, and etc.) to cloud servers, while still maintain most of their critical servers (like database servers) with colocation hosting model. Usually, we will define such hosting model as Hybrid Colocation model. SO, why Hybrid Colocation hosting is still more popular in Malaysia? Or why IT managers here are more preferable to Hybrid Colocation hosting? From our interview with some existing clients, we noticed many of the IT person-in charge are still worry to migrate of the existing data or software, but willing to consider in converting its front-end server like web and email server into cloud computing. Many businesses have elements in their traditional environments that they are unable to move to a virtualised or cloud environment. So Hybrid Co-location solutions is always their first move into the cloud computing, that putting both allow virtual and physical hardware together.